Last year, we had predicted that Dropbox would be a fascinating IPO story of the tech industry. And then, it came true. The cloud storage and work collaboration company went public on Friday. Within hours, incubator YC saw a whopping 40 percent jump in Dropbox’s expected share price. It was a delight to see Dropbox flashing at NASDAQ with the ticker symbol “DBX”. 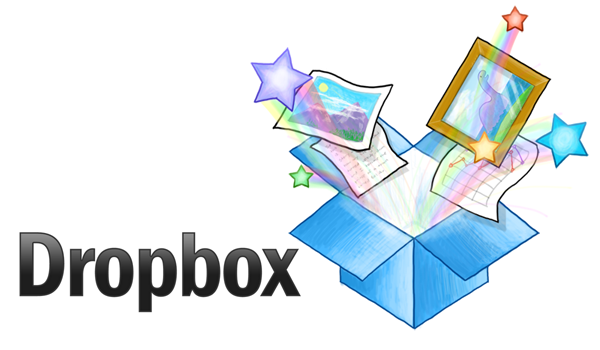 Dropbox is the first-ever startup from Silicon Valley incubator Y Combinator to go public. Dropbox ended the day of trading with a market valuation of around $13 billion. Raising over $850 million, including a pre-IPO fund from Salesforce (stated at $100 million) is a feat in itself. The IPO reflects that Dropbox achieved the best balance of profitability, scaling and growth in 2017. 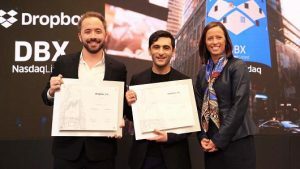 Dropbox’s IPO debut began at $29 per share, announcing why the US tech market is still the most dynamic ecosystem to grow business. Signaling a strong start to 2018, this IPO is the barometer of why unicorns have a great chance to thrive on the stock markets, especially after the last big IPO that came last year. Oh, Snap! Compared to 2016 – the driest spell for MarTech IPOs, In 2017, experts were optimistic about firms more aggressively filing for IPOs. However, Salesforce continues to keep its IPO plans close to its chest. Spotify is another tech firm that has gathered momentum and should be looking at IPOs in the near future. By announcing the $1 Billion-moment publicly, Dropbox not only propelled itself to the top of the SaaS league but also stood at the healthiest vantage point for an IPO. At the high end of the indicated pricing, by raising close to $650 million, Dropbox IPO is the largest tech IPO since Snap hit the market just over a year ago. According to Bloomberg, DBX is now valued richer than most established subscription-based cloud and SaaS companies, names including Salesforce, Zendesk, and Tableau. In fact, the IPO break comes just days after DBX announced their strategic partnership with Salesforce. “This deeper partnership with Salesforce is a great opportunity to build new value for our mutual customers. We’re looking forward to delivering these new integrations so our customers can get the most out of their tools,” said Quentin Clark, SVP of Engineering, Product and Design at Dropbox. “Salesforce has completely changed the way businesses connect with their customers through the use of cloud, social, mobile IoT and AI technologies. Together, we have the opportunity to fundamentally change how people work,” said Dennis Woodside, Chief Operating Officer at Dropbox. In an interview to CNBC, Dropbox CEO Drew Houston said that they were ready for the IPO, and they had a great model to succeed in the public market. While the Dropbox IPO marks a golden moment for Y Combinator, it is highly unlikely that the YC would change the way they raise fund and build organizations. Going forward, I am hopeful that Dropbox would find a way to stay afloat as an efficient and scalable company and turn itself into a highly diversified file sharing platform. All eyes now on how soon the company starts making profits. A clear roadmap should help, hereon.